Meet Little Monkeys Daddy, my stress head loving other half who's life has been turned upside down by our little man. From the first day we brought Henry home, he has muttered the above questions on numerous occasions, therefore it comes at a relief that he's found peace of mind in his technology corner. First night at home, tucked up in our beds, but DH can't relax. He's up and down like a yoyo checking whether Henry is drawing breath. That lovely sleep I was looking forward to now being at home is disturbed with cries as Dad continues to poke and prod our son to see if he's still breathing. Cue the Nanny. A baby breathing and respiration monitor that alerts you if your babies breathing stops or becomes irregular. It has an ultra sensitive pad that feeds into an alarm if it detects a change in breathing. Now for my husband this was the peace of mind he needed to get a decent nights sleep. Unfortunately as I still take Henry downstairs for his midnight feeds, he is mostly sleeping in his moses basket, making the Nanny redundant. But I imagine this will come into its own once our little night owl starts sleeping through. Or in his own room. "Is he too hot? I think he is too hot"
Our biggest post baby argument to date has to be over our bedroom temperature. Now I'm always cold and after my C Section, was doubly so. I had also just come from a hospital ward were additional to the sauna like heat, the midwives added additional blankets to Little Monkey's crib. Then we have my husband who is always hot and additionally uses every excuse to turn off the heating to save on bills. So here we are each night arguing over whether Henry is too hot or too cold, me sneaking on the heating and husband opening the windows (in March, brrrr). 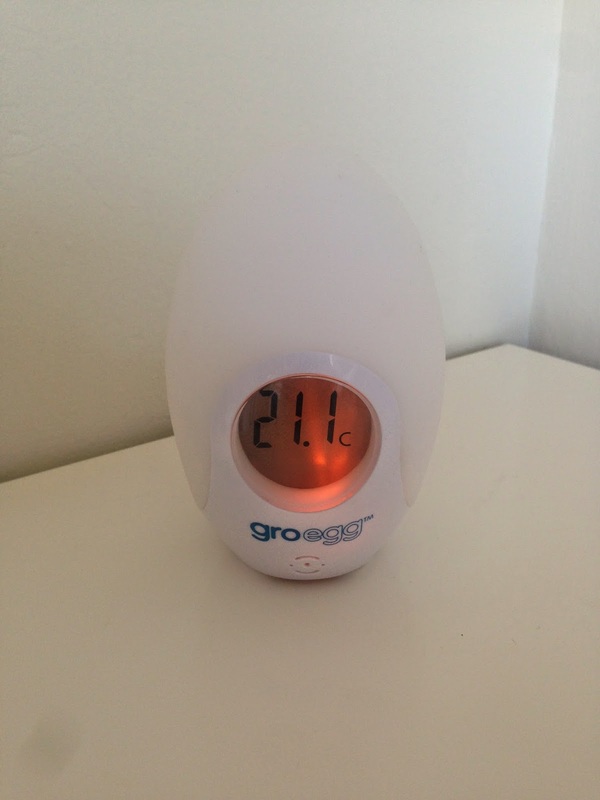 Thankfully the Gro Egg room thermometer is to the rescue. 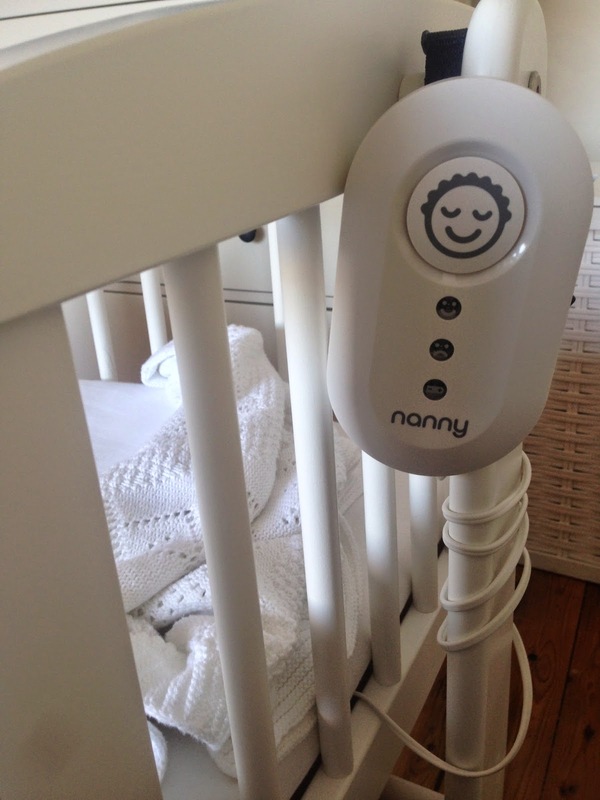 This nifty little device uses colour to indicate your room temperature so you can adapt your babies bedding or room environment. Great for baby, rubbish for me as I was proved wrong and now freezing in bed at night. "Can you hear him? Just double check!" 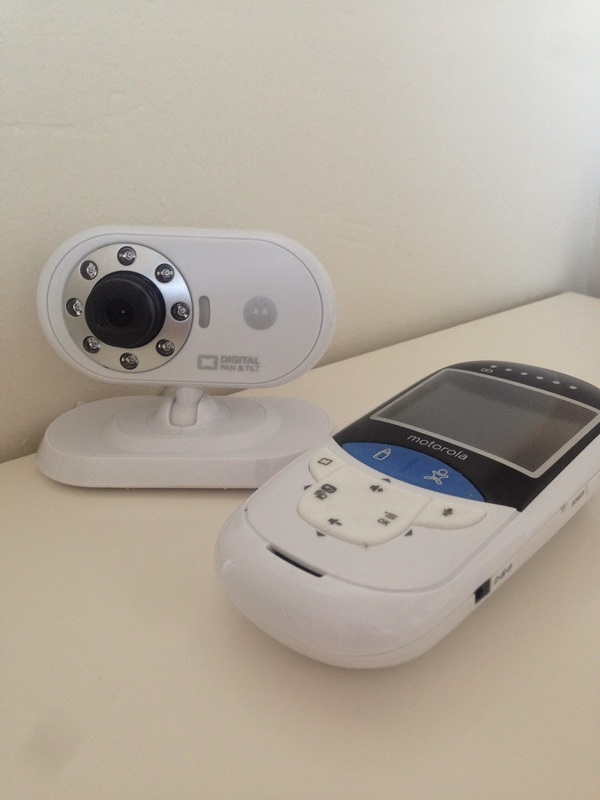 Cue the Motorola Baby Monitor a digital video device that shows real-time video and sound in full colour. As with the Nanny, this little piece of technology has been rarely used so far. Primarily as Henry is with either of us at all times. However it has been a god send for monitoring his temperature and that of his bottles and bath water. As this has an inbuilt thermometer. I would recommend however that you take 2/3 readings as it gives different readings. I love Ewan for getting me to sleep at night...opps I mean, Henry loves falling asleep to Ewan's repertoire of sounds. 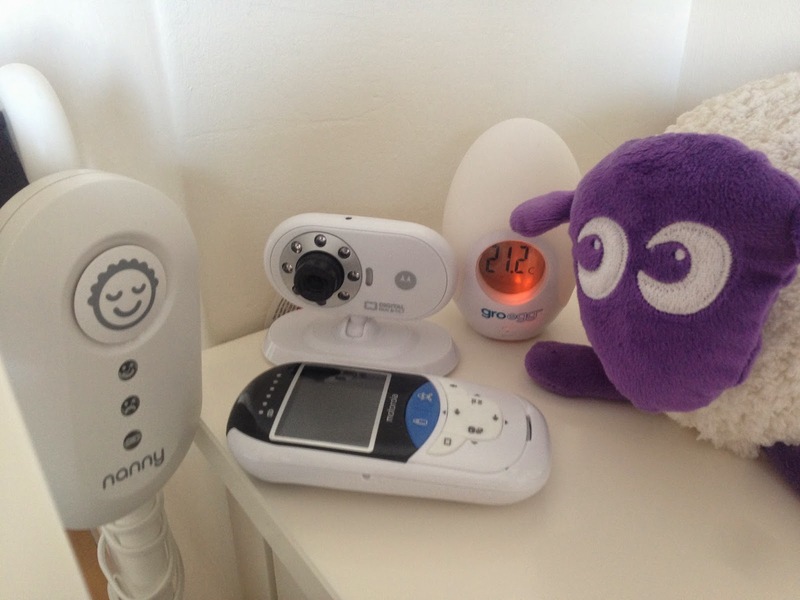 From sounds of the womb to easy listening tunes, Ewan comes with four different sounds to help sooth Henry to sleep each night. A gift from my best friend Julie, this little creature was perfect in the early days for helping Little Monkey sleep. Unfortunately now at 6 weeks its mostly used for show, as we have now upgraded to the White Noise app for getting him to sleep.